This rainbow baby blanket will make any nursery look super cute! Rainbow Puff Baby Blanket by Zoe Bartley is a great baby blanket free crochet pattern for the intermediate/ experienced crocheter. 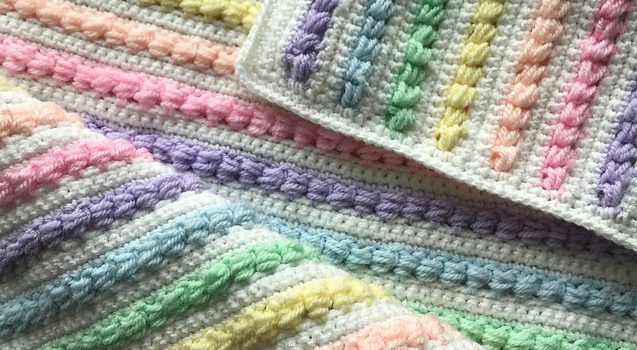 The decorative variation of a bead/puff stitches make this pattern a great addition to any baby’s nursery This rainbow baby blanket is a great gift item by itself or together with a pair of crocheted mittens and hat! 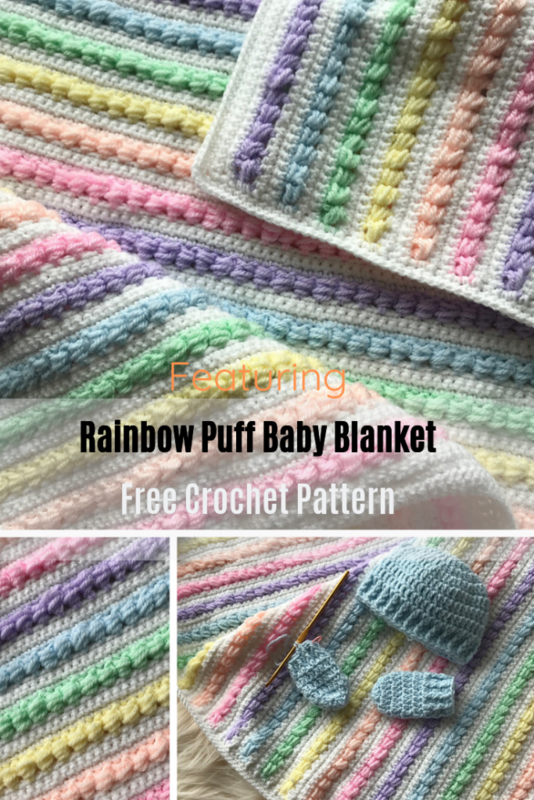 Get the pattern: Rainbow Baby Blanket Free Pattern. Thanks to Zoe Bartley for the article inspiration and featured image. [Free Pattern] These Angel Ornaments Are Charming And So Easy To Make!